Reading and Writing Workshop is a 1.5 hour course which meets once a week. In this class, young writers improve their basic writing skills and focus more specifically on structure, organization, and grammar. Students explore various genres of writing techniques throughout the term, from narrative and persuasive to literary criticism, in order to write exceptional responses to literature, summaries, and creative narratives. These techniques will fully prepare students for the writing portion of nationwide standardized tests and students will also grow into more confident writers and communicators. Sign up for a FREE TRIAL CLASS now! [학원] (MLS) English Class / Private Tutoring!!! [학원] 2015년 여름! 비아영어와 알차고 쉽게 공부하세요! [학원] MLS English Program 영어 교육입니다. 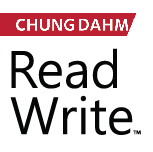 [학원] Weekly Year-Round Classes at Chungdahm ReadWrite (..
[학원] 1학년&2학년 Critical Reading and Writing - at Chungdah..
[학원] MlLS English Program 영어교육 입니다.